Fantastico chalet con increibles vistas del mar. 4 habitaciones. Tiene piscina privada climatizada y jacuzzi. Entre Javea y Moraira, Costa Blanca. Villa Buena Vista ofrece las siguientes facilidades: -Cocina: microondas, encimera vitroceramica, nevera/congelador, tostador, hervidor de agua, horno, vajilla y cuberteria. -Otros: plancha, lavadora, TV, DVD, radio, wi-fi internet (extra), barbacoa, tumbonas, 2 terrazas, piscina privada climatizada con jacuzzi, parking privado. 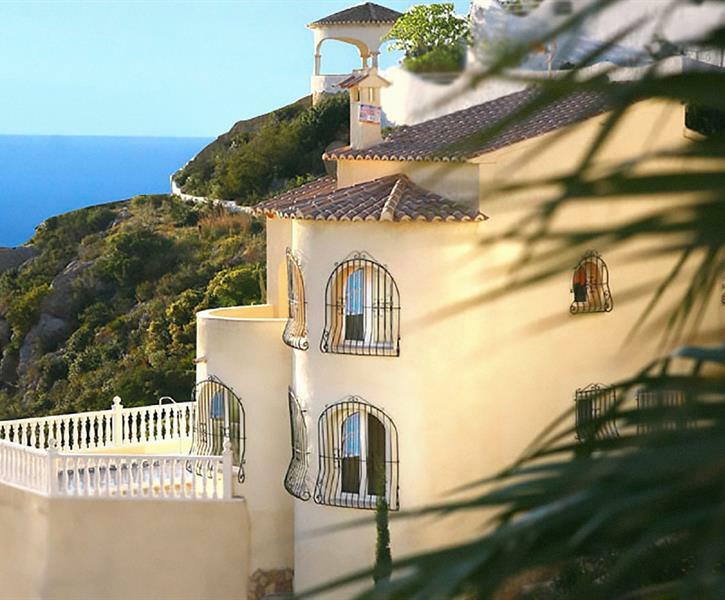 The villa is situated right on the cliff side with firsthand view of the Mediterranean Sea. With ample space and a good layout, the villa easily accommodates a large family - or even two families that can take advantage of the separation of floors with outdoors staircase. The pool has a good size and depth allowing activities like diving, swimming etc. The only disadvantage we found was the space surrounding the pool, which was just large enough for three sunbeds and nothing more. We would have liked more space for the entire family to hang out by the pool. Additionally, the house casts it's shadow on the pool area from middle/late afternoon. we took a vacation at this villa at the end of October. I think we were lucky with the weather because the week after started raining. We had lots of sun and a great time. The Villa was bright comfortable and has great views because it is on a mountain. We use the upper floor because it was equipped better for our children. Our favourite was a barbecue at night overlooking the sea. It was a nice and quiet area. Thanks to the heated pool we enjoyed swimming very much. coming from Belgium it was a big advantage as the weather was freezing back at home. We wish we had longer! What a magnificent view and location! The place was just gorgeous. All the mod cons. We didnt need the tv with that glorious view! And the beach is so close.